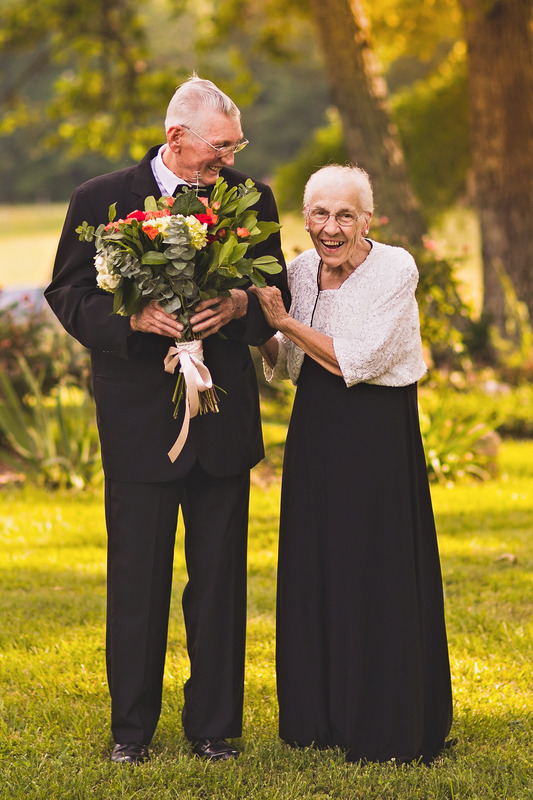 A couple have celebrated 65 years of marriage with an adorable photoshoot. After marrying in 1952, Ruby, 89, and Harold Coleman, 90, went on to have five children together, Marty, Rhonda, Tim, Cindy and Sandy. 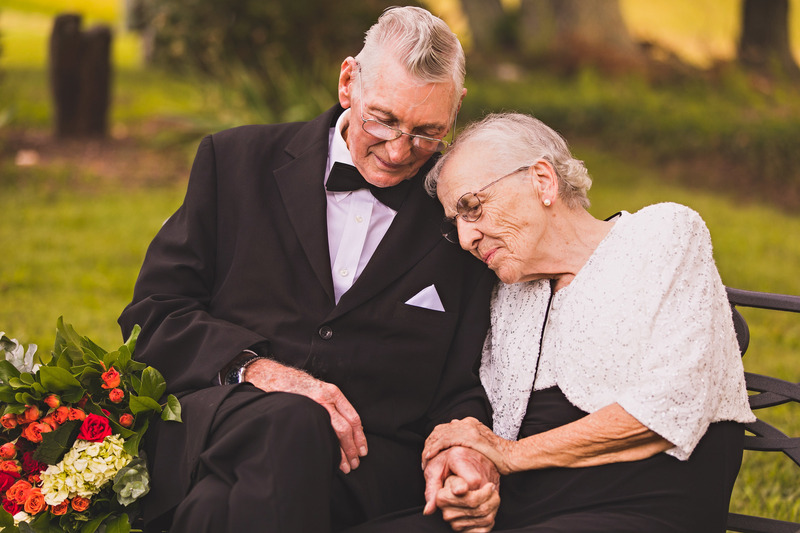 65 years later the couple, from Virginia, USA, have seven grandchildren, 14 great grandchildren and one great-great grandchild. Over the past few years, Ruby’s dementia has worsened and despite not being able to remember much, she has never forgotten her soul mate. 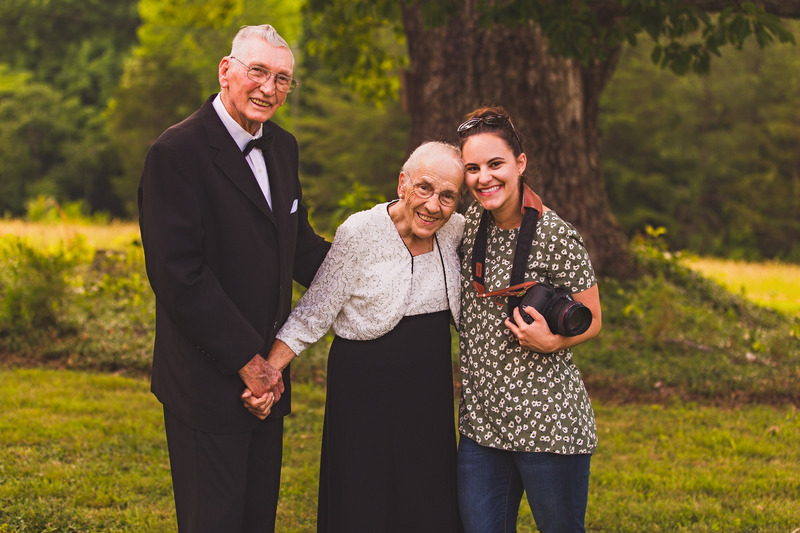 To celebrate their 60th wedding anniversary, they went to photographer Megan Vaughan to commemorate their love. 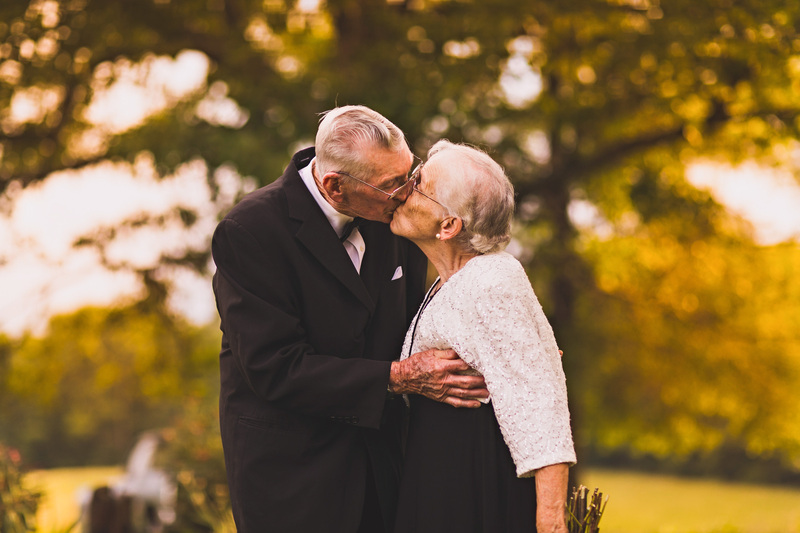 Megan found them so inspirational that when it came to the couple’s 65th anniversary, she wanted to photograph them again and everyone involved was thrilled with the outcome. Ruby and Harold’s love for one another is certainly admirable and the couple still admit to stealing regular kisses from one another. Megan, 30, said: “I was beyond excited because I’d never done shoots like these before, Ruby and Harold are the perfect couple and their love for each other is stronger than ever. “I first met them five years ago when their daughter, Cindy, contacted me and wanted to arrange an anniversary shoot for their 60th. “I got back in contact with Cindy to arrange a second shoot, Harold was the exact same as I remember him, cutting jokes and always smiling. “But sadly Ruby’s dementia has worsened and she didn’t quite remember me but welcomed be with open arms, her personality was just as sassy as ever. “Harold was so proud of his suit, he bragged about how he found it at a second hand store for less than $15. “The coat was about three sizes too big, but Harold is so handsome that you can’t even tell and his bowtie had been in his wardrobe for over 65 years. “Ruby and Harold represent a marriage that everyone should aspire to. Harold is a retired building contractor whilst Ruby spent her years as a stay at home mum raising five children and supporting her husband in his ventures. Harold’s favourite past time is now gardening, both for himself and Ruby, but also for all the older people in their neighbourhood who can’t garden anymore. Any leftover produce he takes to the homeless shelter. 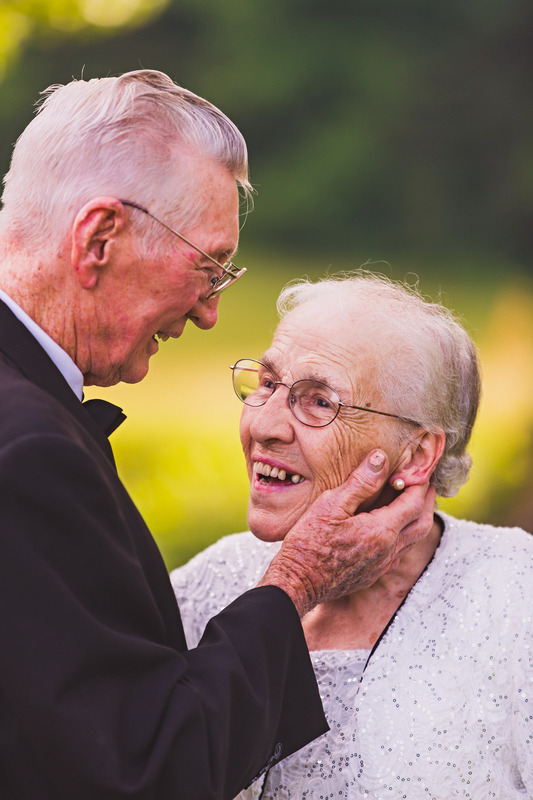 And Megan explained that despite Ruby’s dementia, she loves her husband more and more each day. She added: “You can see it in her eyes. “They reminded me so much of my late grandparents, their home was warm and welcoming and I sat on the sofa and listened to their life story. “They handed me picture after picture of their family, whom they are extremely proud of and love with all their hearts. “We laughed, cracked jokes and told stories for over an hour.